I haven't really talked much about the illustration side of my life on here, but today I thought I'd share some of my thoughts plus a little insight into what I'm up to at the moment. This weekend I was able to cross 'Sell my work at craft fairs' off my Summer Bucket List. I have to admit, it was quite an experience in many ways and I have definitely learned quite a bit from it! 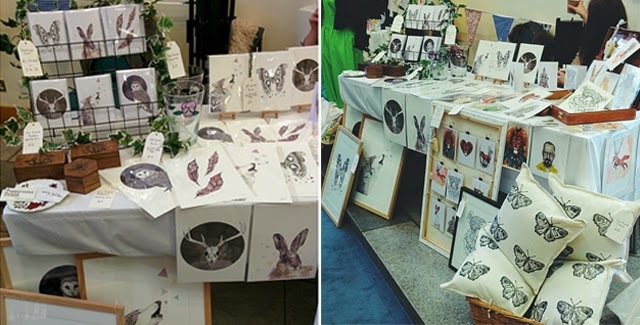 I shared a stall with my friend Jess (Hush the Hound) at two different fairs. We sold some of our products, but I'm going to be totally honest, we didn't really sell enough to justify sitting for a total of twelve hours over two days, that and taking the stall fees into account. The first fair was a mixture of craft and vintage and I think unfortunately, a lot of the people who were there to spend, were a lot more interested in getting a bargain from the vintage stalls. I can't blame them, it was just a matter of the wrong audience. On a positive note, it was great experience in talking to potential customers, fellow craftspeople and getting our business names known. The second day was much worse than the first, mainly due to a poor turnout overall. This impacted everyone selling and not just us. We did get to chat to some kids who were the sweetest things and the most complimentary of our work out of anyone we spoke to! 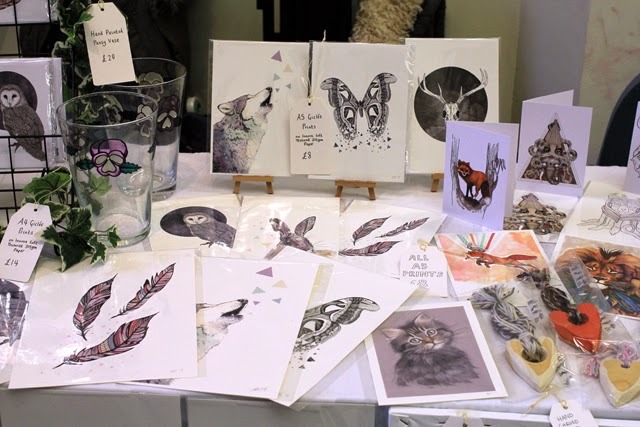 This weekend has definitely made me feel a lot more confident at selling my work to the general public and fortunately I don't feel put off by the small amount of sales. I now know that there are so many different factors to consider in order to have a successful fair experience and I'm sure that as I attend fairs in the future, I will most certainly learn a whole lot more. In the meantime, I have my Etsy shop which I will be updating very soon and I'm selling on Society6 if you're interested in any of my prints or illustrated products. 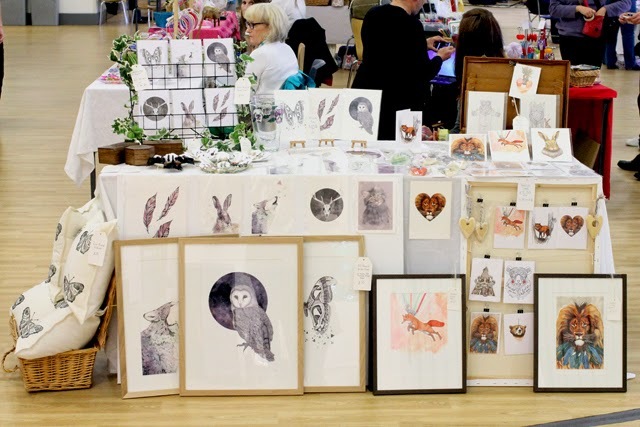 Also, if you know of any fairs in England that you think my work would work well at, I'd absolutely love to know!